This iconic gaming company started off back in 1972 believe it or not! The very first video game released on the system was Pong! 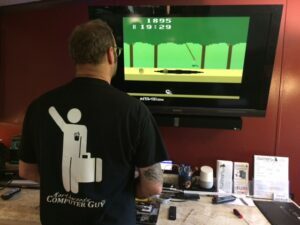 It was the first commercially successful video game and lead to tons of other video games including the one I am playing which is Pitfall on the original Atari 2600.